Germany Flag image for printout, free download and activities for students. 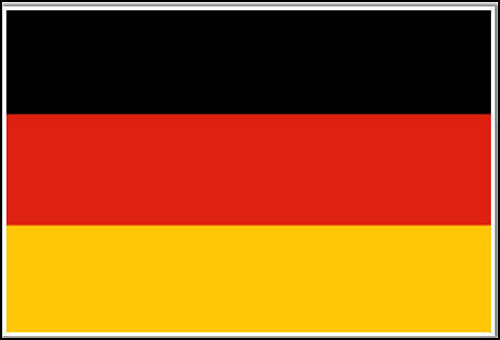 The flag of Germany is a tricolour consisting of three equal horizontal stripes of the national colours of Germany: black (top), red (middle), and gold (bottom). The official German flag was adopted on May 23, 1949.